June 2015 Disneyland Paris Pin Releases. Frozen fever arrives this month at Disneyland Paris with the launch of the resorts much anticipated Frozen Summer Fun season on 1 June 2015. 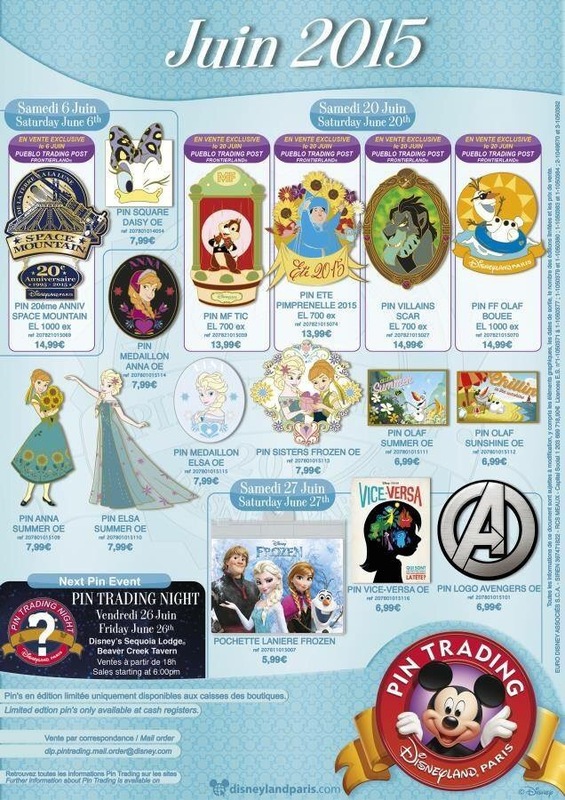 To compliment this several Frozen themed trading pins are being released in celelibration. Also to be released is a 20th aniversary Space Mountain pin, an Avengers pin and a pin for the new Disney●Pixar movie Inside Out. 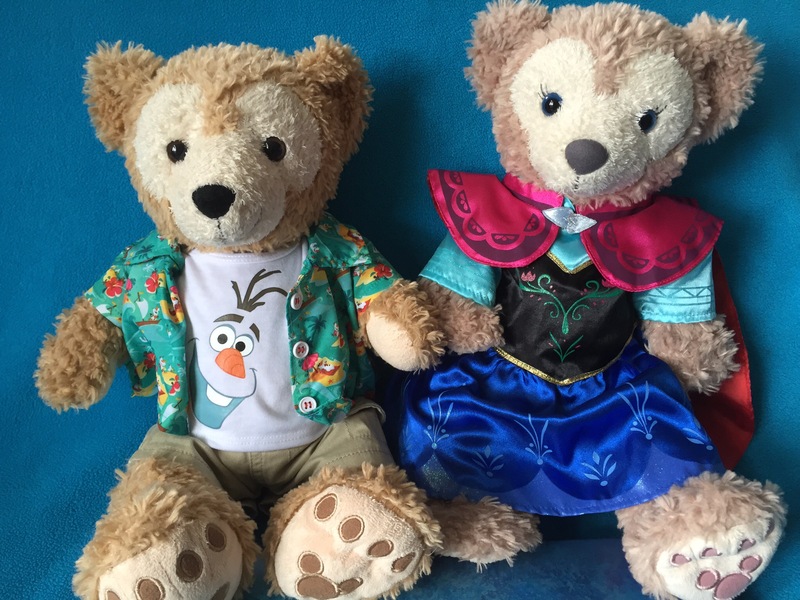 This months Pin Trading Night will be held on 26 June 2015 at Disney’s Sequia Lodge Hotel in the Beaver Creak Tavern from 6pm. The Walt Disney Company now own 78.90% of Disneyland Paris, with their shareholding of Euro Disney S.C.A. now standing at 618,540,791 shares. Below is a breakdown of shareholders compiled by APPAED (Association des Petits Porteurs d’Actions EuroDisney). Disneyland Paris and the magical world of pricing discrimination. Disneyland Paris sets its prices according to the nationality of it’s customers, according to a lengthy investigation carried out by a Belgian member of the European Parliament. 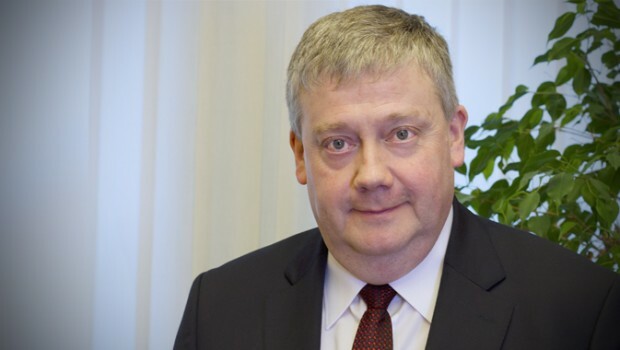 Belgian MEP Marc Tarabella who is in charge of consumer protection, in the EU has discovered that the pricing policy of Disneyland Paris on its websites vary depending on the country of origin of the customers. After a year long investigation he has discovered that Italian visitors to the resort are the most disadvantaged. According to a statement released by the PS MEP, a French or Belgian family will pay an average of €865 for a two-night stay, against €1,204 if Romania (+ 29%), €1,272 if German (+ 32%), and even €1,339 euros if Italian (+ 36%) for the same room. “Despite the current European rules, European consumers are still too often victims of discrimination. It is sometimes obvious, sometimes less as when the question of the nationality or country of residence hides behind the requirements for the country issuing of credit cards, place of delivery or IP address, ” said Marc Tarabella. An argument refuted by the MEP which pointed out that the comparative periods made during Christmas or the summer, when all Europeans are on holiday, reveal the same gap. Disneyland Paris has denied that such a discrimination tariff exists. Join us next weekend as the Salon Mickey team comprising of Sharon, Duffy, ShellieMay and myself report live from the Frozen Summer Fun press preview at Parc Disneyland. We will be posting photos and sharing our experiences of the new Frozen themed summer season at Disneyland Paris on the blog, and on our Facebook and Twitter accounts. So tune in on Saturday 30 May, Sunday 31 May and Monday 1 June for a fun filled Frozen extravaganza live from Disneyland Paris. The much delayed PhotoPass+ service for annual pass holders will launch on the 26 May 2015. The new year long PhotoPass+ for Dream annual pass holders will cost 39.99€ and 44.99€ for Fantasy and Francilian pass holders. The passes will be available from the below boutiques and annual pass holders will need to inform the Cast Member at the cash register that they wish to receive the one year PhotoPass+ and show their annual pass when purchasing. 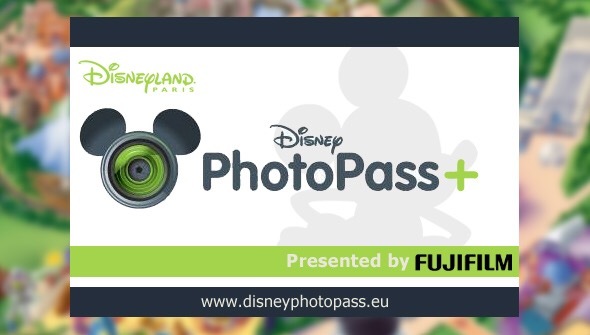 The good news for annual pass holders is that they will receive an introductory discount of 10€ off when they purchase the annual PhotoPass+ until to 3 July. 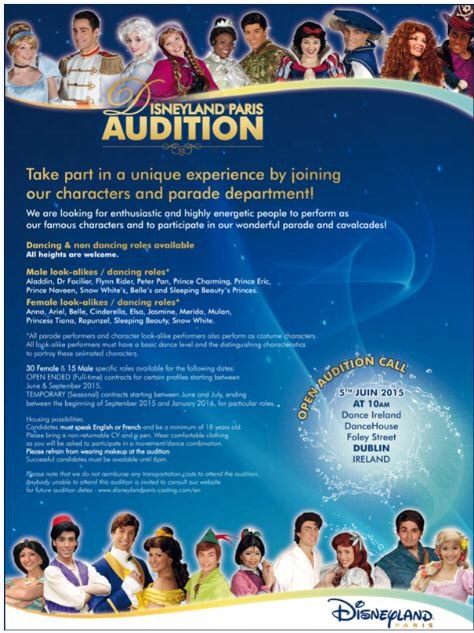 Dublin plays host to Disneyland Paris Open Auditions. Disneyland® Paris’ Talent Casting department is organising a Characters and Parades audition in Dublin on Friday 5th June 2015 at 10am at Dance Ireland, Dance House, Foley Street, Dublin. Dancing & non dancing roles available ~ All heights are welcome. Aladdin, Dr Facilier, Flynn Rider, Peter Pan, Prince Charming, Prince Eric, Prince Naveen, Snow White’s, Belle’s and Sleeping Beauty’s Princes. Anna, Ariel, Belle, Cinderella, Elsa, Jasmine, Merida, Mulan, Princess Tiana, Rapunzel, Sleeping Beauty, Snow White. OPEN ENDED (Full-time) contracts for certain profiles starting between June & September 2015. TEMPORARY (Seasonal) contracts starting between June and July, ending between the beginning of September 2015 and January 2016, for particular roles. Last night the Paint the Night parade debuted at Disneyland as park of the parks 60th anniversary. I wish Disneyland Paris would get a parade like this, I do miss Disney’s Fantillusion parade.